General Motors launched its Maven short-term car rental service in Toronto on Tuesday, continuing its North American expansion into Canada’s largest city, where it will take on a trio of similar already established companies. Daimler AG’s Car2Go, Enterprise CarShare and Zipcar also operate in Toronto. The Maven program is a keyless on-demand vehicle service, where members access and start a Maven vehicle with only their smartphone. Maven will initially offer 40 vehicles in Toronto. They include the Chevrolet Cruze, Malibu, Tahoe, Trax and Volt; GMC Acadia and Yukon; and Cadillac ATS and XT5. The service has selected parking locations across the city, including key areas such as the entertainment and financial districts, Little Italy, the Eaton Centre and more. Maven will be in competition with Car2Go, which operates in a slightly different manner. People can hop into a Car2Go vehicle whenever, wherever — with no reservations required —and leave it in designated “home areas” with no need to return it where it originated. Car2Go is a subsidiary of Daimler AG and offers Mercedes Benz vehicles for use. Julia Steyn, vice president of General Motors Urban Mobility and Maven, said “Toronto has a unique spirit” when it comes to ride sharing and short-term rentals. Toronto introduced a "vehicle-for-hire" bylaw in 2016, paving the way for ride-hailing businesses, five of which — Uber, Lyft and the lesser-known Facedrive, Instaryde and RideIn — are now licensed with the city. Kevin Bryan, assistant professor at the University of Toronto's Rotman School of Management previously told the Canadian Press that Toronto, under the leadership of Mayor John Tory, has become one of the most ride-hailing-friendly cities in Canada. "Toronto is Canada's biggest city, the mayor supports ride-sharing companies, it seems fairly straightforward that's where you'd start,” he told the news service shortly after Lyft began operating in Toronto back in December 2017. Maven is part of a larger GM strategy and commitment in Canada, its top Canada executive says. “The launch of Maven follows the recent opening of our Canadian Technical Centre-Markham Campus, the largest automotive technology development centre of its kind in Canada, and furthers our ability to bring new solutions to existing problems and redefine the future of mobility in Toronto and beyond,” GM Canada President Steve Carlisle said in a statement. The automaker also plans to open a “mobility campus” in Toronto to complement the research centres it has in Oshawa, Kapuskasing and Kitchener-Waterloo. 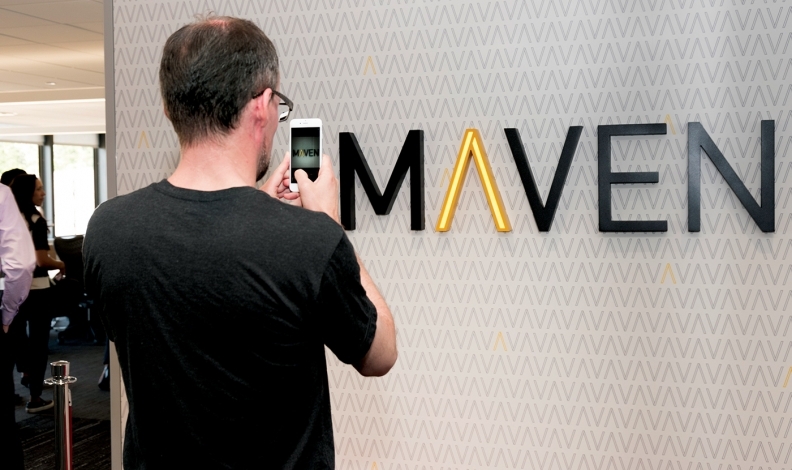 Maven was already available as a pilot project in the Tannery District of downtown Kitchener, but for exclusive use by members of the Communitech Hub there. Cummunitech is an industry-led group that supports technology entrepreneurs. Its focus is urban mobility, short-term rental and mobile app innovation.